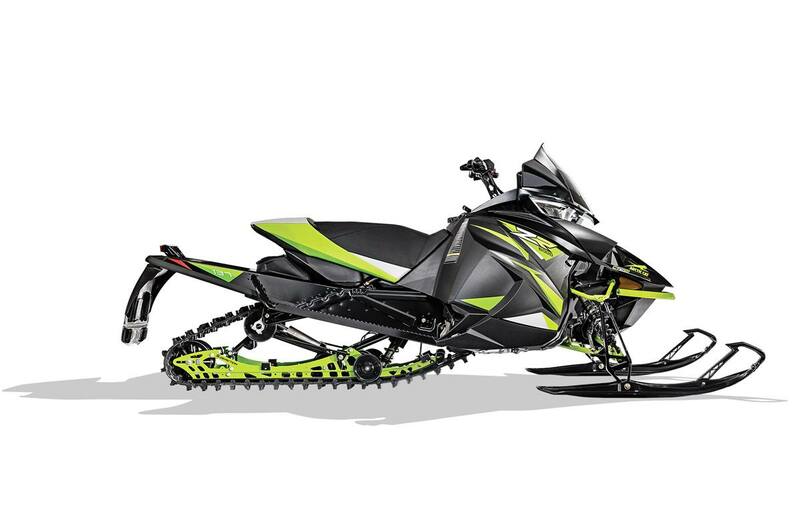 Arctic Race Front Suspension with Arctic Cat Gas IFP Shocks: The Arctic Race front suspension’s geometry was developed through racing. Our unique wide A-arm spacing complements the chassis design, which allows us to maintain a tighter suspension. Arctic Cat gas IFP shocks feature a hard-anodized aluminum body, 0.5" shaft, aluminum internal floating piston, and high-quality seals and ice scrapers. For added strength, the eyelet on the shaft end is forged, replacing the welded design.